CarGurus has 1,562 nationwide G35 listings starting at $1,777. After undergoing an extensive redesign the previous year, the Infiniti G35 luxury sedan received only a few minor updates for 2008, including the addition of standard XM satellite radio and an MP3 input jack for the six-speaker AM/FM/CD audio system. Beyond that, the G35 offers an extensive list of standard features, including leather-appointed seats that are power-adjustable in the front, a leather-wrapped three-spoke steering wheel, Washi-finish (paper-like) aluminum interior trim, an Intelligent Key with push-button ignition, automatic temperature control, and a leather-appointed shift knob. 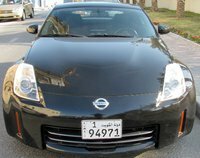 The G35 retains its curvy, rounded styling, with front grille blades that are said to emulate twisting Japanese swords. Some reviewers have noted a resemblance to the BMW 3-Series models, competitors of the G35's. Under its sleek skin, the G35 sports a rigid chassis with numerous weld points, which helps reduce vibration and results in a finer feel, Infiniti says. Infiniti also incorporated a number of advanced technologies, including something called "advanced suspension geometry," which are designed to give the driver better control and a greater feel for the road when behind the wheel. Some drivers and reviewers note that superior overall balance and a rear-wheel-drive design further help the G35's handling and responsiveness. For power, all G35s come equipped with a 306-horsepower, 3.5-liter double-overhead-cam V6 engine with variable valve timing. The engine delivers power in a wave rather than a burst, resulting in what Infiniti calls "acceleration swell." As a result, the power builds as the car gathers speed. The engine links to either a five-speed automatic with a manual shift feature or a six-speed manual transmission, for those who prefer to take shifting responsibilities into their own hands. The 2008 G35 comes in four trims, including the Base, the G35 Journey, the G35 xAWD with an Intelligent All-Wheel-Drive system and heated front seats, and the Sport 6MT, which adds 18-inch aluminum wheels, front sport seats, a sport steering wheel, and aluminum pedals to the manual transmission. A number of packages and options are available, including a Premium Package, which adds a premium Bose audio system and power-sliding glass moonroof, and the Navigation Package, which adds a navigation system with a touchscreen and a rearview monitor. Overall, drivers and reviewers give the G35 high marks, thanks in part to its redesign for the 2007 model year. The G35 excels in styling, power, and interior comfort, though some find the braking and ride quality lacking. However, with minimal price increases for 2008, many note that the G35 represents a good value when compared to its competition. 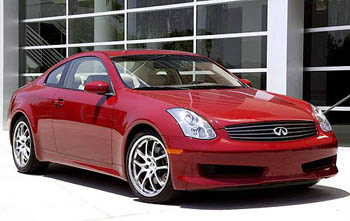 What's your take on the 2008 INFINITI G35? Have you driven a 2008 INFINITI G35? can you swap a 2015 v6 3.0t engine into a 2008 g35x sedan? Has Anyone Had A Total Brake Failure On The 2008 G35?